for $199,900 with 4 bedrooms and 3 full baths. This 2,424 square foot home was built in 1964 on a lot size of 195X80X195X80. 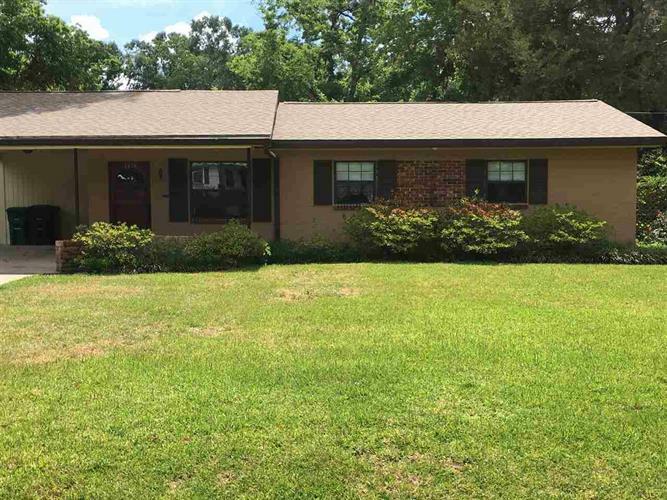 Move in ready, huge 4 bedroom with 3 full baths in desirable location off North Monroe Street and just minutes from Crowder Landing and Lake Jackson Mounds Archaeological Site. This is an excellent home to entertain with Formal Living, Dining Room very large Family Room and Butlers Pantry along with a lush and beautiful landscape fenced yard, big enough to park your boat. This well maintained home has an over sized work shed and greenhouse. If its space you want this house has it and if its fruit trees (oranges, tangerines and pecan), it is here too! Selling AS IS with right to inspections.